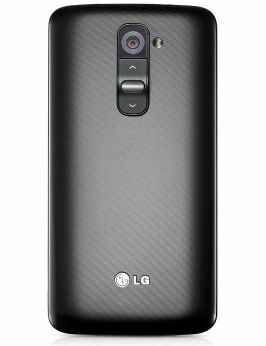 Today LG officially revealed its new flagship smartphone, the G2, a follow-up to the Optimus G. Unlike any smartphone before it, the G2 takes a very peculiar approach to its hardware, specifically in button placement. Contrary to smartphones available today, with buttons along their edges, all of the hardware buttons on the G2 are located on the back, just below the center-aligned camera lens. LG aptly named this new invention the "rear key." LG's reason for the move is due to how large smartphones have become and finger placement the users' on their devices. Users can long press the volume buttons to access a quick launcher containing the both the camera and QuickMemo app. As an alternative to pressing the power button, the phone can be woken up by double tapping the display. In addition to its unique button placement, the G2 has impressive hardware specs. Externally, you'll find a 5.2 inch 1080p IPS screen with a very small tenth inch bezel and a 13 megapixel camera that features optical image stabilization. Internally, the phone packs 2 GB of RAM, a 2.26 GHz Snapdragon 800 processor, and a 3000 mAh battery. The G2 has enhanced audio capabilities as well. LG states that it is the first smartphone with 24 bit/192kHz Hi-Fi playback, providing studio quality audio. Buyers will have an option between 16 and 32 GB of on-board storage. The G2 will ship with Android 4.2.2 Jellybean with a few tweaks from LG. The phone will include Answer Me, which allows users to answer phone calls after lowering the ringer volume and putting the phone to their ear; Quick Remote for use with the IR blaster; and Slide Aside, allowing users to close apps with a three finger gesture. 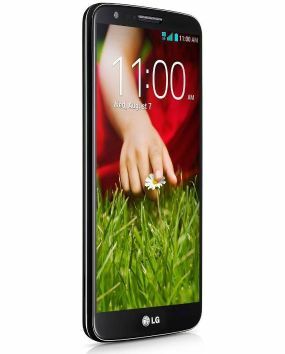 The LG G2 will become available at over 130 global carriers over the next few months, starting in South Korea and gradually moving into other markets like the US and UK. What do you think of the new G2? Is its feature-set strong enough to persuade you from other manufacturers' flagship phones like the Samsung Galaxy S4 and HTC One? Do you think the button placement will work well, or be cumbersome in comparison to traditional buttons? Leave your thoughts below.